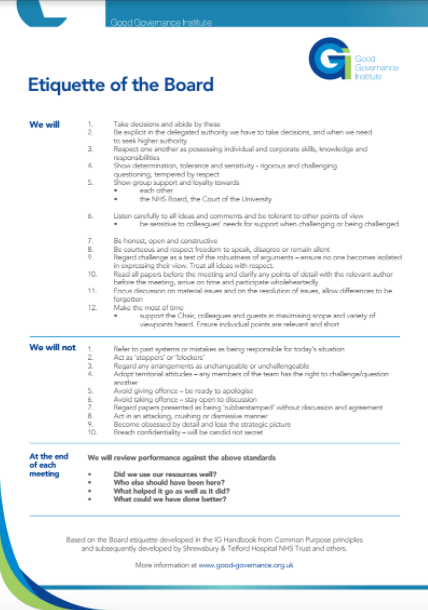 Good Governance Board Etiquette, developed by NHS CGST based on Common Purpose and later refined by NHS Tayside. This bookmark sets out the ten key points of good governance and also contains a board etiquette that can be adapted. Please note the email addresses in this publication are no longer active.